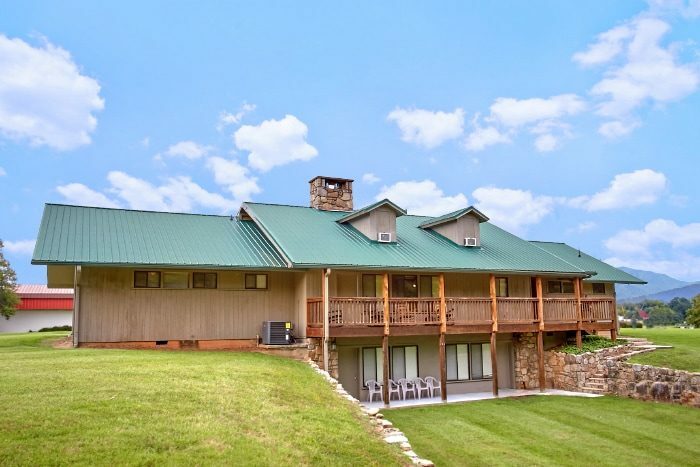 Bring the whole group for a stay at "Lazy Days Lodge," a 6 bedroom vacation rental in the Smoky Mountains close to the Pigeon Forge Parkway. 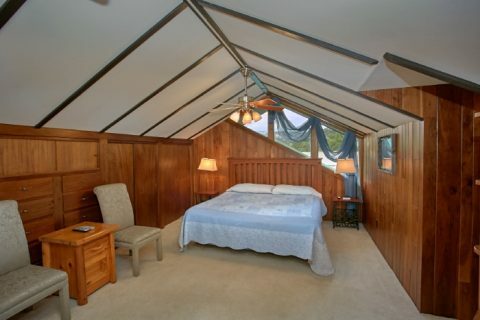 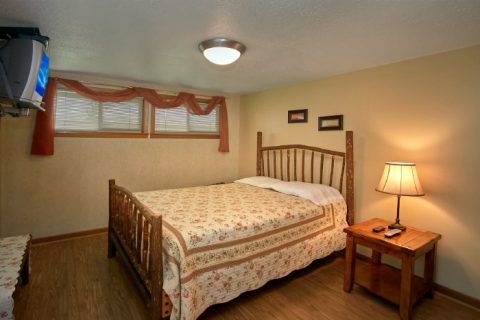 This Smoky Mountain lodge sleeps 18 guests and is close to the Red Roof Mall area of the strip. 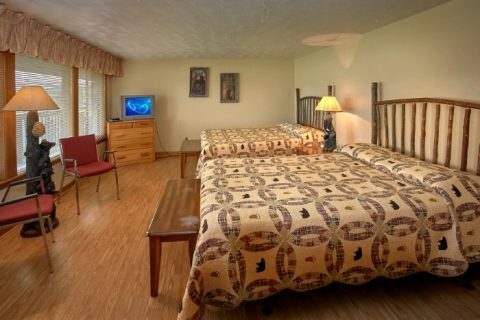 From here, guests will have easy access to tons of great attractions including Dollywood, Downtown Gatlinburg, and the Great Smoky Mountains National Park. 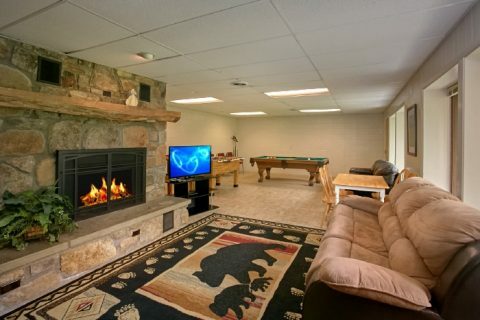 With so much to do and see close to your group lodge in the Smokies, everyone in your group will find something to enjoy about their vacation. 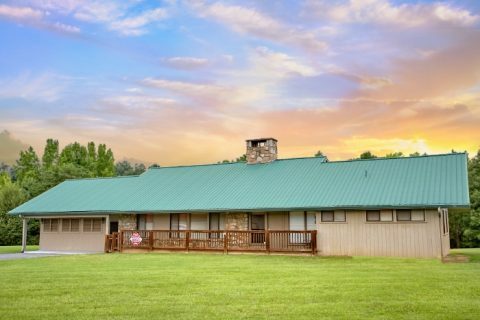 After a great day exploring the mountains, the fun doesn't have to stop when you come back to your Smoky Mountain cabin rental! 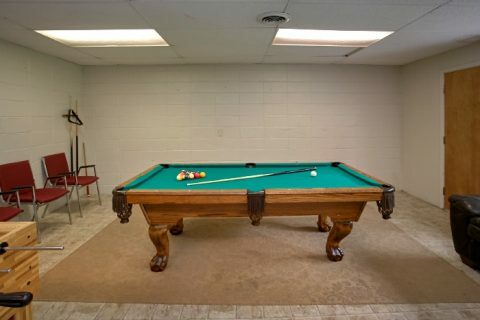 A large rec room features both a pool table and arcade game for hours of entertainment. 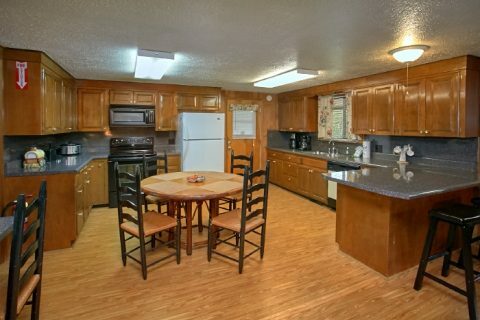 Additionally, there is a wet bar in the rec room for refreshments. 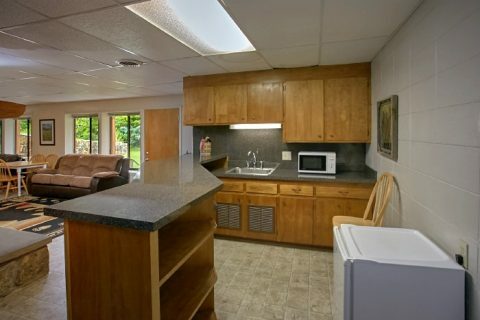 Once it's time for an evening meal, your group can enjoy dinner in town or you can prepare a tasty dinner without having to leave your comfortable lodge. 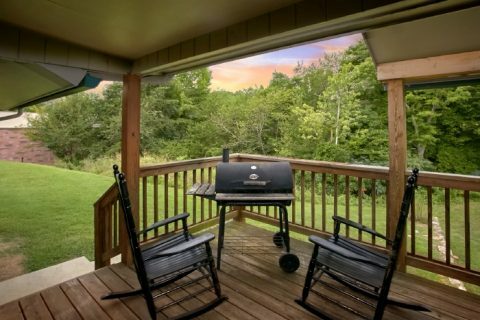 Another great option is having a cookout with your group by using your charcoal grill and enclosed porch area with picnic tables. 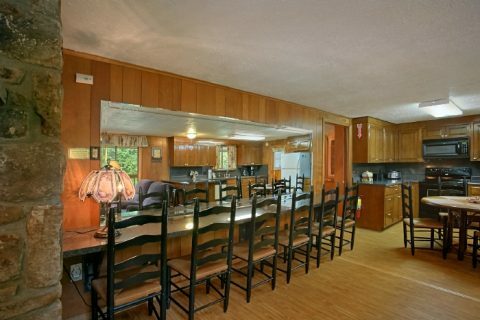 A large dining room offers plenty of seating indoors. 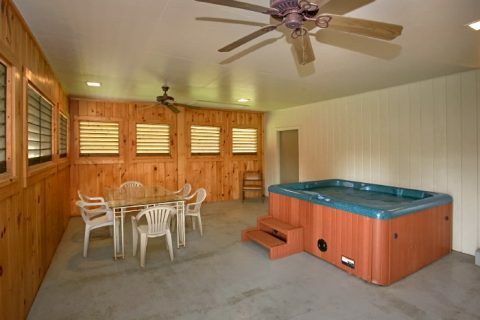 For some relaxation, you can enjoy sitting by your rental's seasonal, gas fireplace or take a relaxing dip in the bubbly waters of your outdoor hot tub. Your Smoky Mountain lodge sleeps 18 guests with 2 king-size bedrooms, 3 queen bedrooms, 1 bedroom with 2 queen-size beds, and 2 sleeper sofas that are great for younger members of your group. 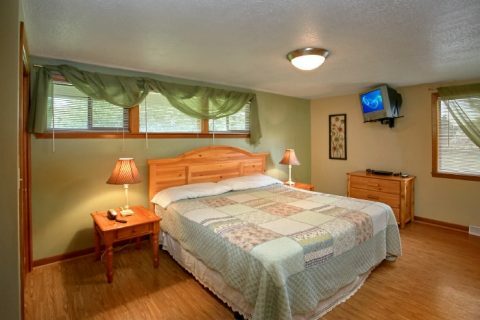 Each private room comes with a television for relaxing in the evening. 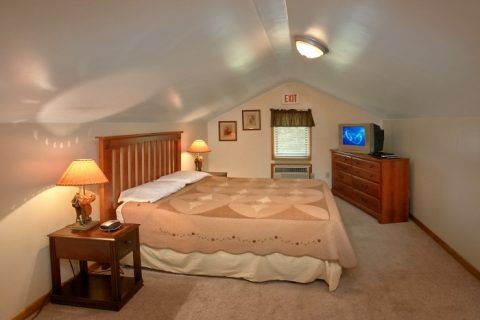 WiFi internet is available in your vacation rental so that you can stay connected with friends and family back home. 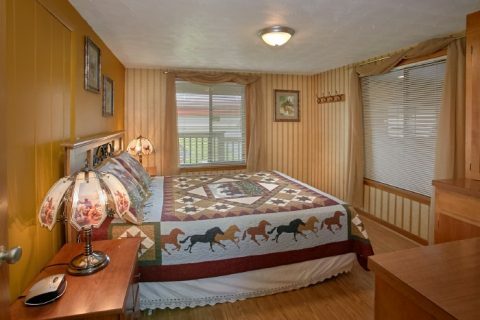 Book "Lazy Days Lodge" for an affordable group vacation in the Smoky Mountains of Tennessee. 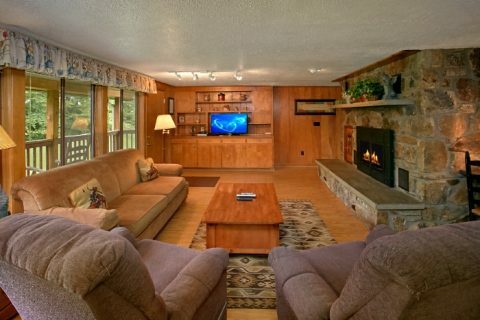 With fun amenities and a prime location for enjoying attractions along the parkway, your group will find a lot to love about their lodge in the Smokies. 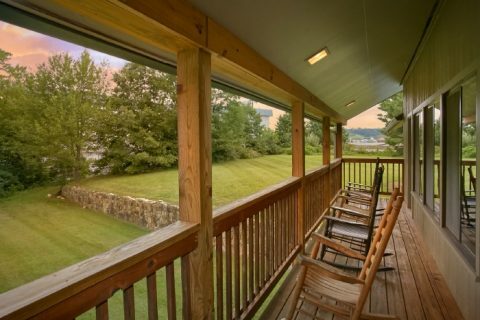 Better yet, book your vacation rental with Cabins USA Gatlinburg and save 15% with our online cabin discount!